Hypnosis is a technique that allows a person to enter a state of altered consciousness were the mind is very open to suggestion. 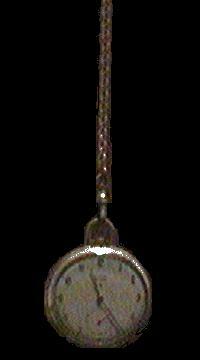 Typically a hypnotist, someone trained in the technique, will have the subject relax and concentrate on some object (The stereotypical object is a swinging pocket watch). As the subject, under the hypnotist's guidance, relaxes in stages he enters a trance-like state. Though he seems asleep, studies of brain wave patterns during hypnosis indicate that the person is fully awake. The subject is very open to suggestions from the hypnotist in this state, though he cannot be made to do anything that is against his basic nature. Hypnosis is used for a variety of medical purposes. A post-hypnotic suggestion, an instruction given while in the trance state that will continue to affect the behavior of the person after the trance is over, is used in the treatment of addictive behaviors such as smoking. A person's personality plays a large part in how responsive they are to the hypnotic technique. The more "suggestible" the person is, the more likely the hypnosis will be successful. The relationship between the hypnotist and the subject is important to since the subject may resist taking suggestions from someone with whom he feels uncomfortable. One of the most controversial uses of hypnosis is in the recovery of "repressed memories." Theory holds that the mind, when confronted with a traumatic incident, will bury memories so the conscience mind will not remember the event. The trauma might be any variety of things like a car wreak, abuse or a war experience. While hypnosis has been shown to be very helpful in defusing the emotional problems that may be rooted in repressed incidents, the accuracy of the memories themselves are the heart of the controversy. While under hypnosis the subject may relate the truth as he believes it, but the memories he draws upon may be faulty. Memories are not stored in the brain like a photograph or a video tape. As people observe the world they constantly interpret what they see and it is this interpretation that is stored in the brain. Police have often been confounded at a crime scene when multiple eye witnesses give conflicting stories. (In fact, though juries prefer to believe eye-witnesses in the court room, police know that circumstantial evidence is much more accurate). Studies have shown that eye-witnesses to a scene, when pressed during questioning, may unconsciously "create" additional inaccurate memories in an attempt to help or please the investigators. This is even more true when memories are being recovered via hypnotic regression. The hypnotist must be extremely careful not to "lead" the subject with his questions. While using hypnotic regression it is also possible to recall not real memories, but fantasies or dreams. For this reason many scientific authorities suggest that no repressed memory be considered to have actually happened unless some collaborating evidence is found.